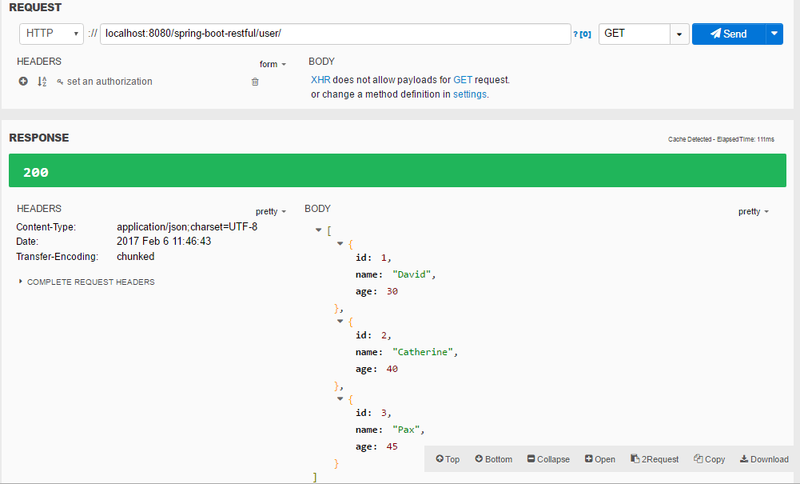 Spring Boot Restful Web Services Example walks you through the process of creating a restful api with spring boot step by step. Noticed that Spring Boot is sub-project developed by developers of spring framework, Spring Boot makes it easy to create stand-alone, production-grade Spring based applications with minimum configuration possible. To set up application as a servlet application we extend our main class with SpringBootServletInitializer and override the configure method using SpringApplicationBuilder. You can define port and context path for your spring boot application in properties and it should be stored in application.yml like below. Note: You must be in your project directory before run that command. Click Send, new user would be created and we will be accessible at the location mentioned in Location header below. Use PUT, provide the information with type “application/json”. Use DELETE, provide the id in url as the screen below and click send. User should be deleted from server side. You also try to test with other cases such as deleting all user, creating an existing user, etc. 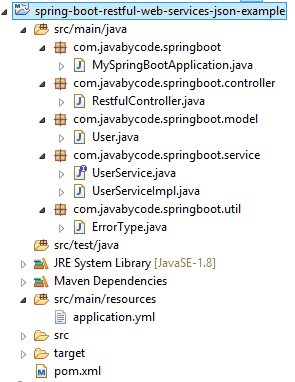 As you know there is no difference between Spring Boot and Spring MVC when you create Rest API. 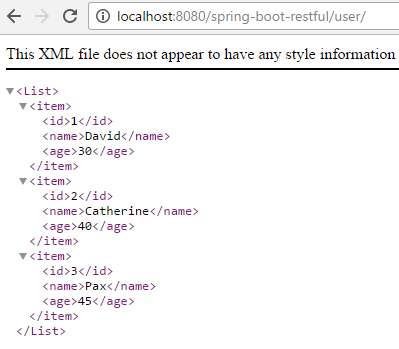 That’s all on the tutorial Spring Boot Restful Web Services Example.